Years ago, just after graduating college, my first big purchase was a receiver, turntable, and speakers. I eventually added a better turntable, a cassette deck, and finally a CD player. Over the years, I replaced all my vinyl albums with CDs and pared my components down to just a CD player, my receiver, and speakers. Finally, I replaced my CDs with audio files and got rid of the giant speakers and my other components and just used an iPod. That worked fine, and I somehow just made do with headphones and computer speakers for many years. When Sherwood offered a receiver to The Gadgeteer, I didn’t really think about asking to review it, because I still don’t have components to connect to a receiver. Then I finally noticed that it was the RX-4508 200W AM/FM Stereo Receiver with Bluetooth, and I realized I could use it with my iPhone, iPad, or even my computer to stream my music files for listening on real speakers again! 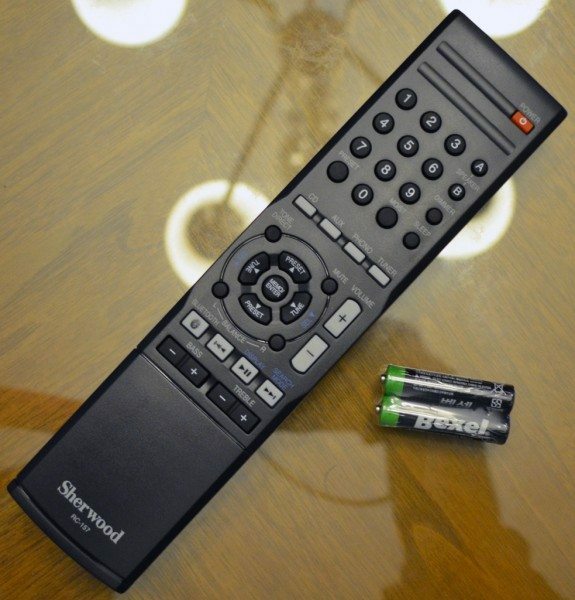 The Sherwood RX-4508 receiver is an audio receiver; it doesn’t have HDMI jacks so that you can use it as the central hub in your home theater setup. That’s not to say that you couldn’t connect your TV’s audio-out to this receiver’s Aux-in jack for better sound, because you can do that. You can see from the dimensions listed above, the RX-4508 is a sizable piece of equipment. It is so big that I couldn’t photograph it with my normal white background. Hopefully, my dining room furniture won’t be too much of a distraction. The RX-4508 is all black on the front, except for white labels for the few buttons on the front. (The gold band across the front is simply a reflection of the light from the fixture above my dining table.) The buttons are, from left to right, a power/standby button with a headphone jack underneath it, a memory button (for setting radio station presets), a radio station tuning button, reverse and forward buttons, input selection button, and a large volume adjustment dial. The top third of the front has an illuminated digital display that shows the input source or the radio station that’s tuned in when in use. Logos on the top indicate that this receiver has Bluetooth capabilities. It uses Bluetooth 3 with A2DP, AVRCP, and aptX audio codec support. The RX-4508 also comes with a remote control that does everything. You can tune in radio stations, select audio source (CD, Aux, phone, tuner), enter Bluetooth pairing mode, control playback, and even adjust the bass and treble levels from the remote. It comes with your first pair of AAA batteries. The receiver also comes with documentation, an FM radio antenna, and an AM radio antenna. 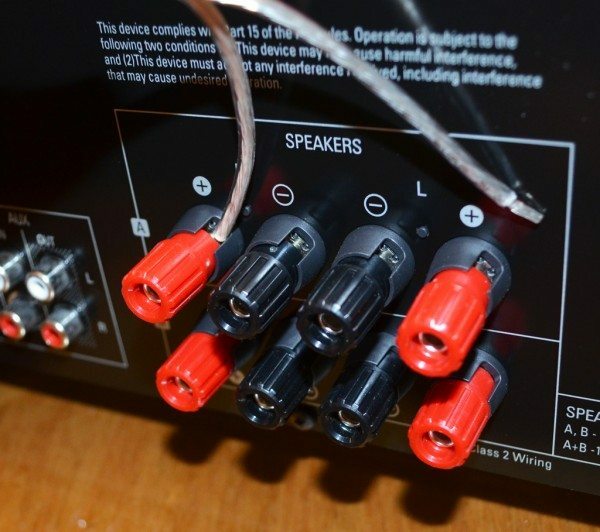 The back of the RX-4508 has all the connectors for audio components and for the speakers. Starting at the left are the connectors for the AM and FM antennas. The next block has a ground connector and RCA jacks for Phono (in), CD (in and out), and Aux (in and out). You can connect two pairs of speakers to this receiver. The speaker connectors require bare audio cables. You simply slide the bare wires in to the appropriate connector and screw the plastic knob to tighten down on the wires. I connected a pair of my Orb Audio speakers to test out the receiver. As I mentioned earlier, I don’t have a turntable or CD player any longer, so I’ll just be trying out the radio and the Bluetooth streaming functions. I turned the power on, then pressed the Bluetooth button on the remote control to start the pairing with my iPad Air 2. The RX-4508 quickly showed up in the list of available Bluetooth devices on my iPad. It connected as soon as I selected it; it didn’t require any code entry to complete the connection. Later, the iPad and RX-4508 always re-connected when I turned them back on, even after I had turned Bluetooth off on the iPad between sessions connected to the receiver. I streamed a lot of songs from my iTunes library, from iTunes radio, and from my Amazon streaming audio library. Everything played flawlessly, without any glitches or dropouts. I walked around my house with my iPad, and the Bluetooth connection never dropped. Specifications say you can take the audio source 30 feet away, but I was more than 30 feet away in some rooms in my house, and there were multiple walls between me and the receiver. Some of those walls are concrete and full of whatever support system and mechanicals are required in a 14-storey high-rise building. My husband, Butch, was listening to music with me, and he kept saying that he just couldn’t believe it was Bluetooth because it didn’t sound compressed and flat like he expected it would. 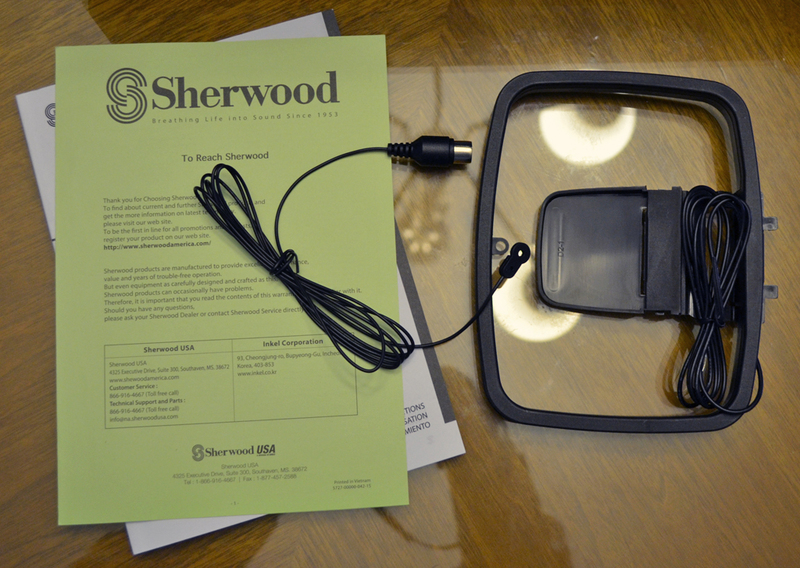 The Sherwood receiver uses Bluetooth 3 with aptX, so it is capable of better sounding, higher-quality stereo audio than older products were capable of. You may have noticed in the tech specs that the bottom of the frequency range of this receiver is 40Hz. These Orb Audio speakers can reproduce about 80Hz without having a subwoofer connected. Because of the frequency limit and because of the smaller speakers, I didn’t have the windows rattling from the bass, but I couldn’t do that living in a condo, anyway. The music still sounded great, even though the fillings in my teeth weren’t buzzing. 😉 I listened to a variety of music – progressive rock, vocals, alternative, electronica – and it all sounded great. Gary Numan, Peter Gabriel, Yes, Jon Anderson’s Olias of Sunhillow, Steve Vai, Israel Kamakawiwo’ole, Josh Groban, Adele, Simply Red – the music all sounded rich, full, and nuanced, as it should. I am very pleased with the Bluetooth streaming capabilities of the RX-4508. I also tried the radio function of this Sherwood receiver. Stations come in clean and clear, without static and without dropouts – once I got the antennas situated properly. There is absolute, dead silence between stations on the FM band. You can save up to 30 preset stations, and saving them required only a couple of button presses on the remote. You can scan manually or automatically through the frequency range to find stations in your area. Once you find and save your favorite stations, you can quickly find them using the presets. Although I couldn’t try the CD and turntable functions, I have no doubt that they would work as easily and as well as the two functions I tried. I don’t think I’m alone in having only MP3 files for music these days, so I’m not sure just everyone would use those functions, but anyone should be pleased with the Bluetooth streaming and the radio functions. Although the RX-4508 200W AM/FM Stereo Receiver with Bluetooth is listed on the Sherwood USA site, I wasn’t able to find a price for it there. I found a seller on eBay offering them for about $520, but sometimes prices can be inflated on eBay. Update: Amazon is offering the RX-4508 for $150.00. 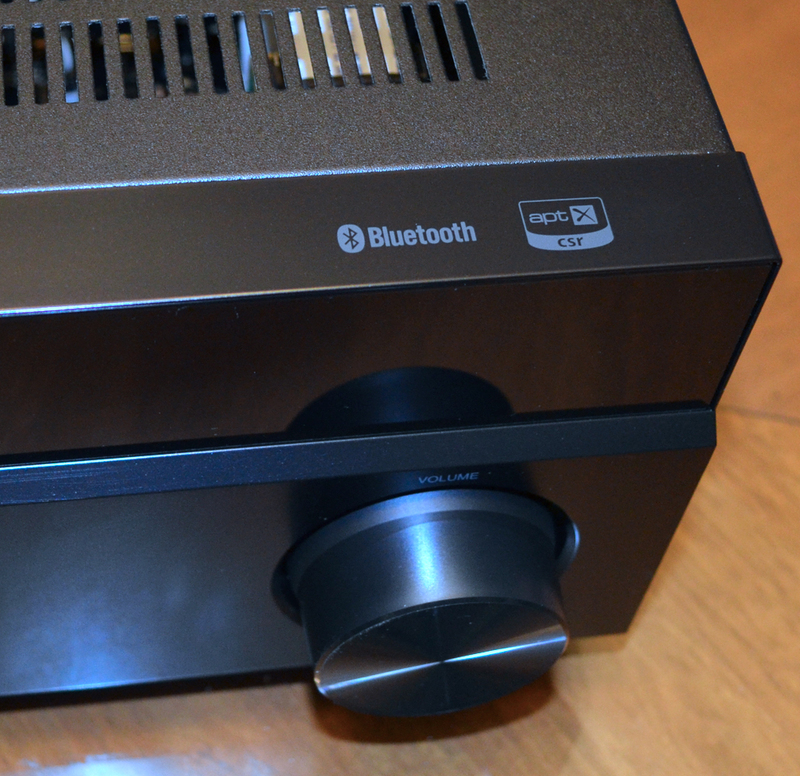 Source: The RX-4508 200W AM/FM Stereo Receiver with Bluetooth for this review was provided by Sherwood. Learn more about this product at sherwoodusa.com. as the lower bound instead of the typical 20hz. a total of 100 watts in this range, probably 80 or so. Still this is plenty for home use. Giving this to my grand daughter in college. She fried a little Onkyo receiver earlier. probably more like 80 watts a channel.